Jennifer Tollmann is a climate diplomacy researcher at the Berlin office of E3G, an independent think tank operating to accelerate the global transition to a low carbon economy. Some particularly sticky issues – likely on commonality of rules and rules around finance – are going to have to be solved above negotiators pay grade. The Polish presidency can make a real difference here, by helping to ensure the Rulebook negotiations get political attention when and where they need. One of the most common ways to do so is to task ministerial pairs– from a developed and developing country- to lead discussions around specific crunch issues. Guests and Fish are famously known to stink after three days. Oversimplifying slightly, every Presidency gets a base-level of political and diplomatic capital – diplomatic goodwill if you will – by their willingness to put up with the thousands of guests sticking around for COP. Though Presidencies need to be impartial and respect the party-driven process, in sessions with numerous competing priorities the Presidency can decide what to throw their diplomatic capital into landing – and what to leave up in the air. The Polish Presidencies has so far focused mainly on landing the Paris rulebook and socialising their own declarations (on Just Transition, Forests and E-mobility). If this prioritisation continues, the Presidency risks limiting the space to discuss the ambition outcomes. And a COP24 without an ambition outcome in the year of the IPCC 1.5 report and a slew of extreme weather events will call into question whether countries are taking the risks of climate change seriously enough. The biggest factor here will be countries’ willingness to publicly commit to going back after the COP and doing their real economy homework – kick-starting the domestic review processes to shape transformational change across all economic sectors. This is particularly important in a year where the IPCC report has called for immediate action. Additionally, major economies can set an example by showcasing overachievement pre-2020 where possible and highlight steps to close the gap where not. Finance is THE perennial crunch issue at the UNFCCC and for a good reason – finance flowing is the pre-condition for a majority of developing states to up their contribution to closing the emission gap Finance is also frequently, and effectively co-opted by parties who would prefer to block and slow the progress of the negotiations. As such, developing countries must be specific about what they need to be able to contribute to global climate action. Simultaneously, donor countries must be ready to increase developing country confidence that finance can and will flow in a more predictable manner. Donor countries can help allay developing countries financial concerns by coming prepared to clarify how they are planning to continue supporting capacity-building efforts. Donor countries will need to show they’re practising what they’re preaching (and funding in other countries) – rapidly putting in place measures in their own countries to close the emissions gap. The rulebook deadline is looming, yet the majority of the 300+ page draft text does not contain compromise options. With the search for common ground beginning in earnest at this COP it is vital countries come prepared to build bridges and lead outreach between negotiating blocks. The quality of the Rulebook outcome will be strongly influenced by individual country ministers (or special envoys). They will need to devote time to finding political common ground on trade-offs around reporting stringency and financial transparency and predictability, while also throwing their political weight behind the operationalisation of universal transparency rules – one of the key accomplishments of Paris. They will also have to balance the needs of the rulebook negotiations with attention given to the slew of high-level political events in the second week (on finance, on pre-2020 action and on the Talanoa Dialogue). Underlying all of this is how long and when ministers will actually be on-the-ground in Katowice. Particularly, those well placed to lead diplomatic outreach – for example, ministers from Europe, China, India and Canada. The perennial wild card of any COP is an extreme weather event. The increase in natural disasters and extreme weather in the past years has made climate impacts a lived reality across the world. An extreme weather event occurring during the COP would bring issues around resilience, adaptation and loss & damage to a head and into the headlines. As much as it’s down to countries coming prepared, it’s easy to forget it’s not actually countries on-the-ground negotiating the final outcomes – it’s human beings. Human beings who by the end of week two will be over-worked and sleep-deprived. 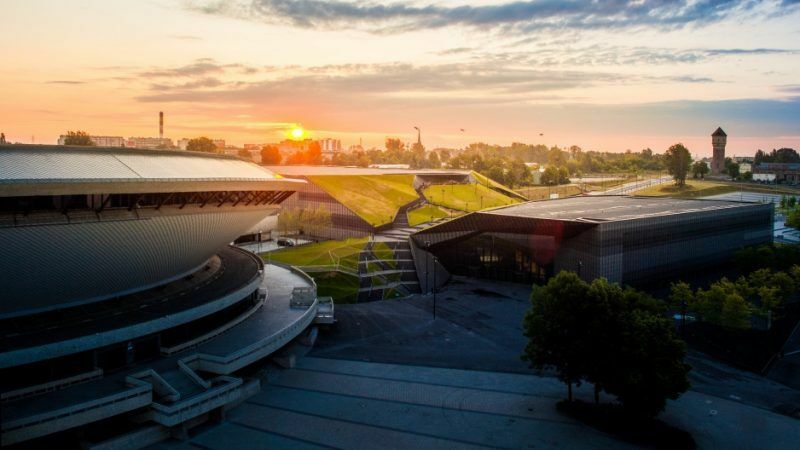 Human beings who are affected by the little things – the weather in Katowice, the length of their in some cases 70km daily commute, not to mention the quality of the coffee and hot chocolate in the venue. With all the professionalism in the world, we should not forget this is a key factor in determining the mood and energy brought into these negotiations. With that being said and little time left to prepare, here’s hoping countries come prepared to make a difference.